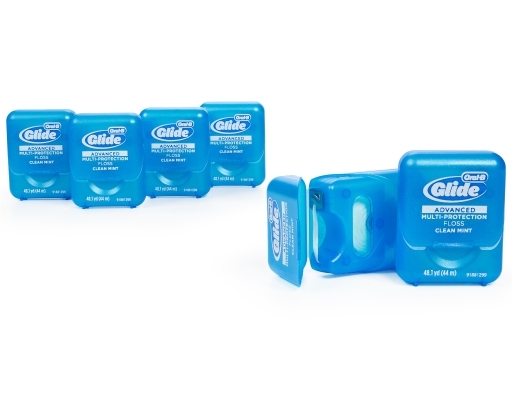 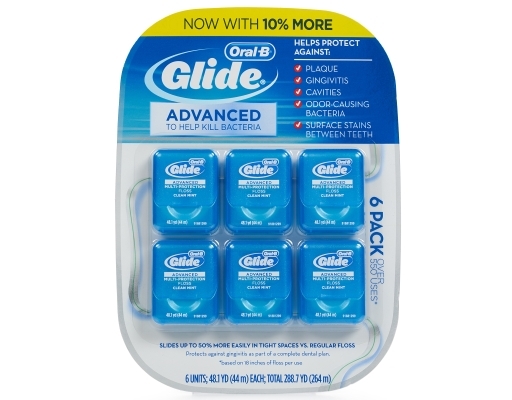 Oral-B Glide Advanced Multi-Protection Floss slides up to 50% more easily in tight spaces. This six pack totals more than 288.7 yards of floss. 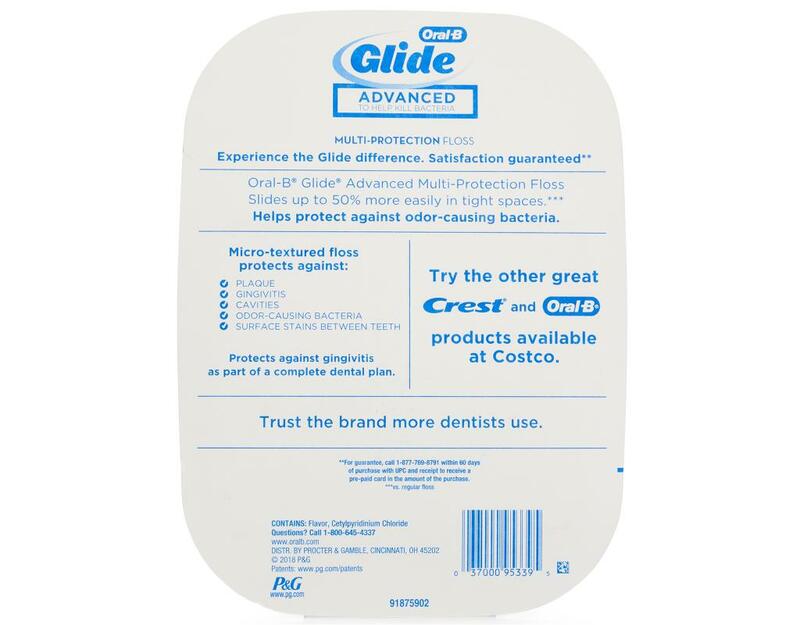 Glide Multi-Protection floss is clinically proven to help reverse gingivitis in two weeks as part of a comprehensive dental health routine. 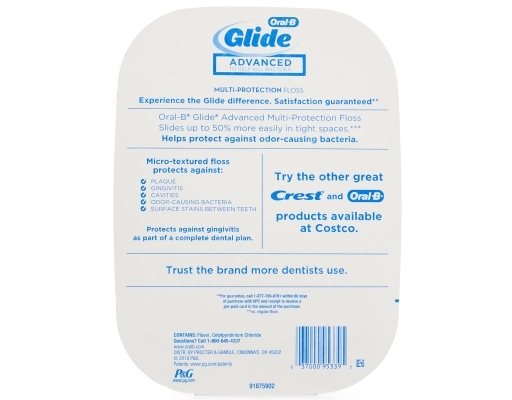 Glide floss has a light coating of natural wax for improved grip, and effectively removes plaque and food particles to help prevent cavities. 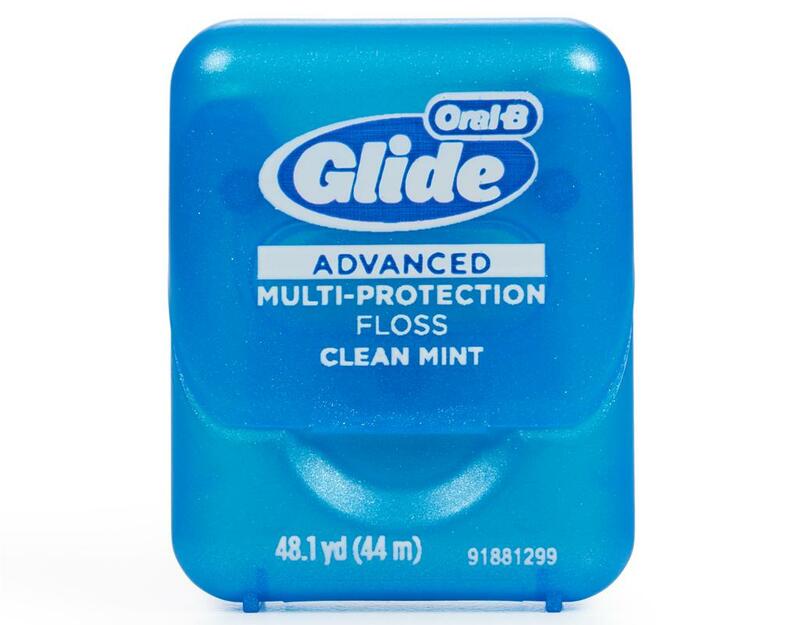 It also helps to prevent bad breath and surface stains between your teeth.